How Much Money Does a Medical Technician Make? Top-paid medical technicians can make over $57,000 annually. 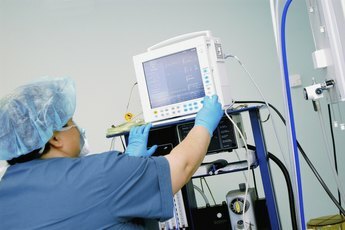 The top 10 percent of all medical technicians in the United States earned salaries above $57,330 per year, according to May 2011 data from the Bureau of Labor Statistics. If you see yourself in a lab coat one day, you would be working with test tubes, microscopes and other equipment. 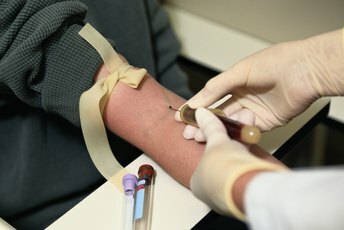 Your days might be filled with analyzing blood, urine and body tissues to detect diseases or abnormalities in patients. And, you would show how you fuss over the smallest details as you conduct tests, record the data and report your findings to doctors. 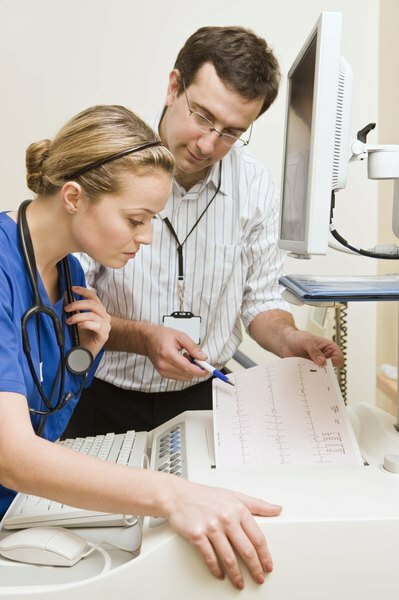 Your average salary as a medical technician would be $38,960 per year, according to the BLS. You certainly won't be eating dog food for dinner at this pay grade, but you may want to put the caviar on hold. Your income would largely be based on experience, geographical area and the size of your employer. You'll need to be comfortable earning between $29,430 to $46,520 per year, as this is what the middle 50 percent earned. And, you may need to move back in with your parents if you are among the lowest 10 percent in pay. They made less than $24,580 annually. Expect benefits like medical insurance, paid time off and a retirement plan if you work full time. Envision yourself working at a junior college as a medical technician if you like buying hordes of clothing and shoes. These folks made the most at $52,540 per year, according to the BLS, and would best meet your extravagant wardrobe needs. Your pay in the medical equipment and supplies manufacturing industry would also allow you some luxuries. Technicians there earned $49,690 per year. If you are frugal and frequently shop at dollar stores, working at an outpatient center may better suit your life style. They earned closer to the national average at $38,210 annually. Get your resumes out to Rhode Island when you're ready to start your career as a medical technician. There, they earned the highest annual salaries at $59,910 per year, according to the BLS. Relocate to the Pacific Northwest state of Oregon if you like pristine shorelines and cooler ocean breezes. These folks also made above-average salaries of 47,140 annually. And you may enjoy the two-stepping and barbecues in Texas, but you won't get rich there. Medical technicians earned only $34,940 per year there. Your minimum educational requirements as a medical technician, or medical laboratory technician as they are sometimes called, would be an associate's degree in medical laboratory technology, according to the BLS. But you had better enjoy courses like biology, chemistry, statistics and math or this career would be about as fun as a root canal. Obtaining a one-year certification in medical laboratory technology would increase your chances of landing a job. Some states require it. A career as a medical technician may just be the smartest choice for you, especially if you are detail-oriented and compassionate -- with a flair for highly technical work. Congratulations on matching your career goals to your key talents. Not everyone can do that. On a side note, the number of medical technician jobs is expected to increase 15 percent between 2010 and 2020, according to the BLS. This growth rate is just average compared to most occupations. But those aging baby boomers may just yet have you gainfully employed and up to your chin in test tubes, urine samples and specimens. They will need your help as they grow older and will need your expertise in diagnosing and fighting cancer, type 2 diabetes and other diseases. What Is the Average Salary for a Sr. Plasma Center Technician?